Design and program the microsite and implement responsive functionality using the WordPress content management system. 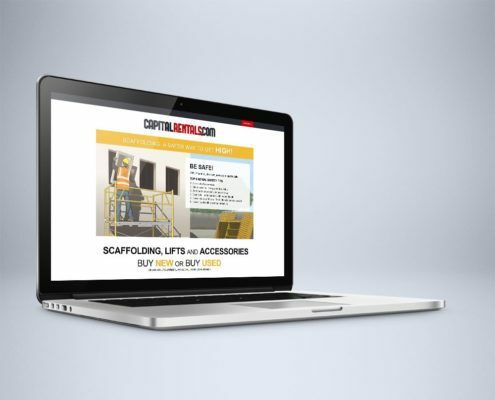 Capital Rentals has been a member of the local community since 1969. Our passion is equipment. It gives us pride knowing that for over 45 years our tools and service have played a productive role in construction, landscaping, and home improvement projects. 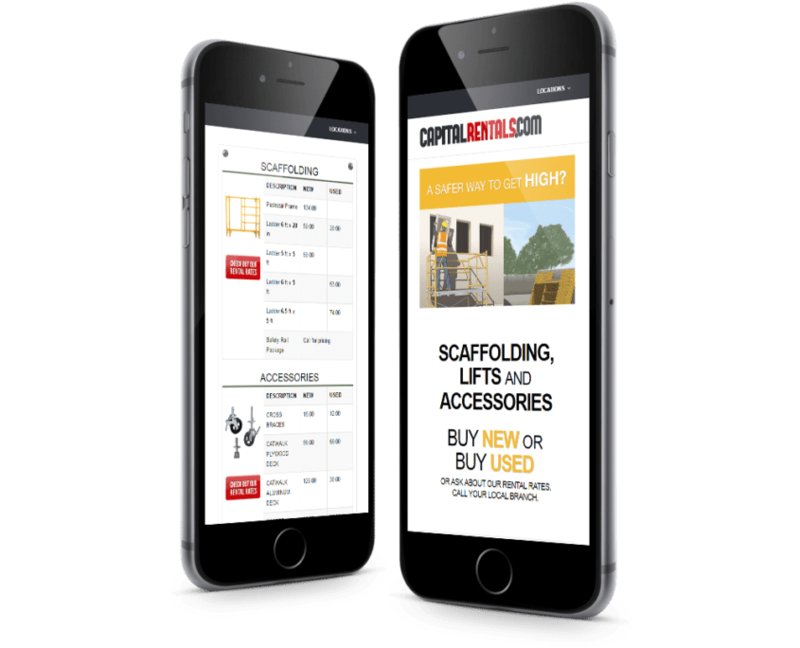 Our mission is to provide great equipment with friendly professional customer service. Why rent? Save space in your garage or your equipment yard. Keep more money in your pocket. When you rent, you consume fewer resources. Use and pay for the use of equipment only when it’s needed. Wish to own? 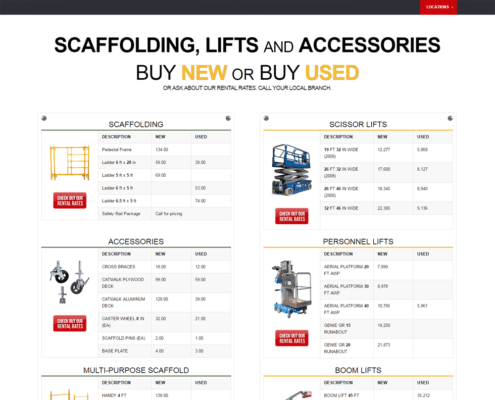 Purchase industrial tools with lasting value. Please browse our tools and equipment for sale. We stand behind each product that we sell. This means that we provide parts, warranty, and repair service. Every Capital Rentals location has a service department. We believe the true value we provide comes after the sale. 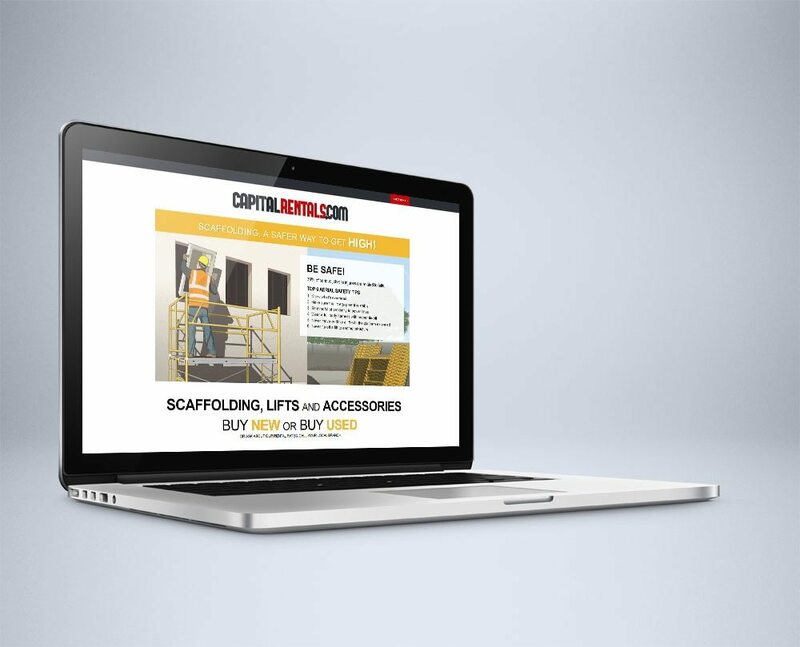 Capital Rentals is the exclusive full line Wacker Neuson dealer in Northern Virginia. Wacker Neuson’s proud history began in 1848. The Wacker company was an early pioneer in compaction for the construction industry. Today their product line begins with pumps and generators, and has grown to include track and mobile excavators, wheel loaders, telehandlers, four wheel drive dumpers, large mobile generators, and track and skid steer loaders. We rent these products and they are also available for purchase. 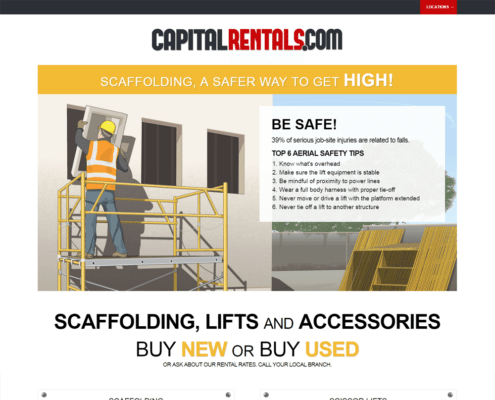 Capital Rentals is located in Manassas, Virginia, Beltsville, Maryland, Fairfax, Virginia, Sterling, Virginia and Triangle, Virginia.